Maybe the most common and costly kinds of accidents in South Carolina nursing homes are falls. They’re so common because they can arise in so many different circumstances. They’re so costly because they can quickly and dramatically change your life and take your money: broken bones, scars, concussions, and even death. In the next section, we review some relatively recent South Carolina cases that involve falls to give you a better sense of the value of nursing home lawsuits. If your loved one suffered a fall during an admission to a South Carolina nursing home, contact our office for a free case review. We can help you compare your case to these and let you know what kind of compensation might be available in court. Richland County, South Carolina nursing home fall case. The victim in this case was an elderly female nursing home resident. She was suffering from a number of conditions including arthritis, dementia, and atrial fibrillation among others. Due to these health problems, nursing home staff were instructed to not leave her alone under any circumstances. She required around-the-clock care. However, on one occasion, staff left her unattended while she was using the restroom and she fell to the ground. Staff took some time in returning and only helped her get up much later. Then, they didn’t call for emergency care until nearly two days later when her family came to visit. The woman eventually died because of the injuries sustained in this accident. Her family sued the nursing home for wrongful death and negligence. Some of their claims included failure to afford her proper care, insufficient employee training, and other similar allegations. The defendant denied all of these charges and claimed that the woman died from unrelated issues. Just prior to trial, both sides settled the cause of action for $950,000. The nursing home staff ignored explicit instructions to never leave her alone. The nursing home could not explain why they didn’t call for emergency services or her doctors for several days. The woman died close in time to the accident and there were not many other reasons that could explain that occurrence. Spartanburg County, South Carolina nursing home fall case. The plaintiff in this lawsuit was a recently-admitted elderly woman. She entered the nursing home to receive 24/7 care and support. Unfortunately, from the documents filed in this South Carolina lawsuit, that is not what she got according to her allegations. Apparently, while walking to the restroom one early morning, she fell and broke her nose, hurt her face, and sustained substantial emotional damage. She claimed that no staff was there to help her before she tried going by herself. She sued the nursing home for the physical injuries and financial costs that arose after the incident. The defendant nursing facility disagreed and refuses to settle so the matter went to court where a jury awarded her $50,000 in compensatory damages. The woman incurred a lot of medical bills and other expenses to fix the damage that occurred because of the fall. The nursing home couldn’t justify the absence of staff at the time of the fall. The plaintiff’s resident profile suggested she needed help at all times which was not what she was getting at the time of the fall. In this incident, a woman fell and broke her fibula and tibia while under the care of a particular Richland County nursing home. Soon after the accident, she passed away but that was unrelated to the events of the fall or subsequent lawsuit. In that lawsuit, the decedent’s estate stated that the woman fell or was dropped in transit as she was moved from a wheelchair to her bed. The plaintiffs claimed that the nursing home and its staff were negligent in handling her, alerting medical authorities, treating her, and generally giving her the kind and amount of care that she deserved. They sought compensation for the physical, mental, and financial toll that it took on the woman. The defendant denied all of these points and made its case to the jury. After deliberations, the men and women of the jury awarded the plaintiff $70,000 in damages. The nursing home owed the woman enough care to prevent these kinds of incidents by contract, law, and custom. The woman had thousands of dollars in verified medical bills and clear injuries because of the fall. The woman’s standard of living was likely lowered due to the disability and pain that resulted from this incident. Aiken County, South Carolina nursing home fall case. This case involves various legal principles including negligence, comparative fault, and verdict reduction. The plaintiff was a female nursing home resident in her late seventies. She was exiting her room when slipped over a cord that was being used by the staff to clean the hallway. She experienced chondromalacia in her cartilage around her knee. This required surgery to correct and still left her with arthritis and extensive long-term pain and suffering. She sued the nursing home for the damages that resulted from this accident in a South Carolina court. In her complaint, she alleged that she was reduced to a wheelchair because of the event and that her right leg was 20% disabled now. The defendant denied all responsibility and replied that the accident happened because of the plaintiff’s carelessness. The jury compromised in its verdict. It gave the plaintiff $100,000 but also 25% of the fault; therefore, she only collected $75,000 in compensation. Just because nursing homes have a duty to care for residents, the latter must still exercise care while living there and cannot exculpate all blame for all accidents to these facilities. The plaintiff was able to bolster her argument by evidencing specific displays of disability and long-term affect. Horry County, South Carolina nursing home fall case. In this fall lawsuit, a female nursing home resident fell two different times, from her bed and from her wheelchair. Subsequently, she passed away from unrelated reasons but her lawyers were still able to bring a suit on her behalf for the pain and costs that the incidents caused her and her estate. The cause of action made a case that the nursing home was negligent in its care of her (including supervision and services) and that this negligence led to the falls that created her damages. The defendant nursing facility disagreed. They argued in the alternative that this was either the fault of the decedent or that it was beyond its control. Both parties settled prior the commencement of trial for $117,000. The woman racked up over $30,000 in medical bills because of the two falls. The falls permanently and partially disabled the woman. The falls exaggerated her pre-existing condition of arthritis. This tragic story involved an elderly female nursing home resident. She was in her late eighties and was suffering from multiple physical and mental conditions that left her unable to take care of herself and in need of constant care. Despite this knowledge, the nursing home left her unattended in a wheelchair one morning and she ended up falling down a flight of stairs. A few days after this incident, she died from complications due to the injuries she sustained in the fall. Her lawyers brought suit for damages for wrongful death and negligence. They argued that the defendant facility should have done more to prevent this, supervised her better, that some staff noticed her alone and did nothing, and that there were no alarms to alert them that she was near the stairs. The defendant said that it did all that it could and that it was not responsible for the fall or subsequent death. The defendant violated state regulations in not placing alarms on exit doors like the one that the decedent had to go through in order to get to the stairs that she fell down. The defendant could not justify why the plaintiff was left alone especially from the admittance report that stated 24/7 supervision was required for her. The plaintiff was survived by a number of family members that claimed lost support at the trial. The starting point for nearly every lawsuit was whether or not the nursing home created a risk assessment to prevent falls for the resident and then if they followed through on that plan. Cases that alleged the fall or falls led to a wrongful death typically saw higher recoveries than those that merely pled negligence and general damages. Cases targeting the negligent conduct of third-party companies on the nursing home’s premises generally recovered less than those brought directly against the nursing home. Recovery normally at least doubled if the fall or falls caused a disability or long-term impairment. Did Your Loved One Fall in a South Carolina Nursing Home? 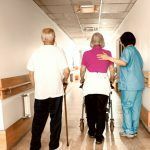 Attorneys at Nursing Home Law News help victims of nursing home neglect and negligence get the recovery that South Carolina allows under the law. We begin every case by meeting with clients and hearing about what happened. Then, we review all the relevant laws and cases that might affect their lawsuit. Finally, if we are hired, we assemble all of the staff and resources necessary to mount a successful case. 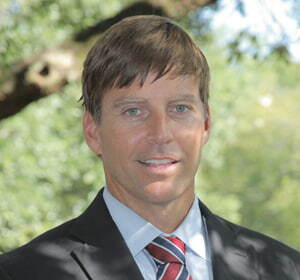 If you have been injured in a fall accident, contact our offices. We can help you on contingency so that there’s no risk to you to obtain the compensation you deserve!